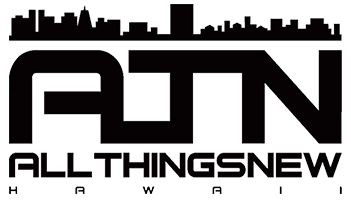 ALL THINGS NEW is a small local business with a small local code. We work one-on-one with our customers to ensure we fulfill their needs and work hard to guarantee the job is done right. Our staff is professionally trained and licensed and ready to help you today. The only surprise ALL THINGS NEW likes to see is when our customers are surprised at how beautiful their home or business looks when we’re done. We offer detailed construction estimates to ensure you know what is being done and what the project will cost. We are blessed to serve you!! If you can see it, We can build it! Lets start creating something together. We cant wait to work with you on your new bathroom concepts! No matter the size of your company, we are up to the task. We absolutely love working with private home owners! We are dedicated to be with you every step of the way! View the Gallery to See Samples Of Our Latest Work! We have used ATN for our many home projects (complete reno on 2.5 bathrooms and kitchen, new flooring, custom shelving, electrical repair, outside home repairs to name a few). ATN's crew are professional, courteous, and incredibly dedicated to each homeowner's requests/questions/concerns from beginning to end. All Things New is the ONLY company that we will hire to work on our home. We highly recommend ATN to our friends and neighbors without hesitation. Find us on social media and see what's trending!